It’s no wonder that many musicians complain of headaches, migraines, carpal tunnel, clicking jaw, numbness in the fingers, and back and neck pain! Some of this pain can be debilitating and make it more difficult for them to perform their normal activities. Many live with chronic pain. There was a time when these conditions were considered to be just a part of playing an instrument and the musician would push through the pain. However, may are turning to chiropractic and are enjoying not only a pain free life, but improved performance as well. 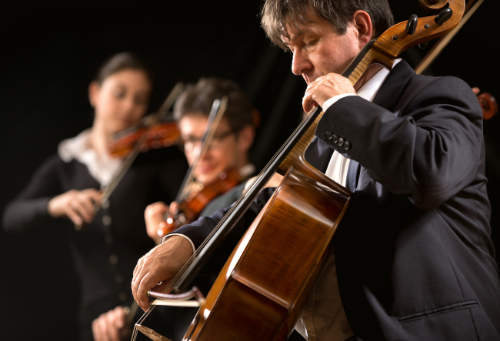 Some doctors liken musicians to athletes – instrumental athletes. They do have very similar practices such as practicing for hours a day so that they can perfect their abilities and skills. And like athletes, they also experience certain break downs within the body. Posture is a common malady as the musician may stand or sit a certain way in order to play their instrument. This prolonged activity can lead to imbalances in the spine, pelvis, and other parts of the body. When the body is not in balance, it cannot function as it should. Organs are affected and other the body may try to make accommodations for the imbalance which only exacerbates the problem. This is further compounded each time the musician plays their instrument because by doing so they are consistently underworking and overworking certain muscles. This can lead to further imbalance. They may also experience Repetitive Strain Injury, or RSI. This condition is often quite painful and is concentrated in the soft tissues, nerves, tendons, and muscles. These areas may become painful or inflamed when put under repetitive activities, pressing against hard surfaces, vibrations, awkward sustained positions, and forceful exertions. This causes the body to become out of alignment but also impacts the function of the skeletal system, nervous system, and muscular system. Chiropractors are very good for musicians because the can assess misalignments in their spine and make adjustments. When proper original alignment is stored to the body, it begins to function properly. This leads to a decrease in pain and other symptoms that may be experience due to the long hours of playing an instrument. Musicians also benefit from chiropractic because it can make them better at what they do. When the pain is decreased or eliminated and the other symptoms are relieved, it is easier to play. When the spine is in proper alignment and the body is balanced, the musician will experience a boost in energy, their muscles will not fatigue as quickly, and their muscles will be more relaxed. With all those benefits, it’s no wonder that chiropractors and musicians make beautiful music together.